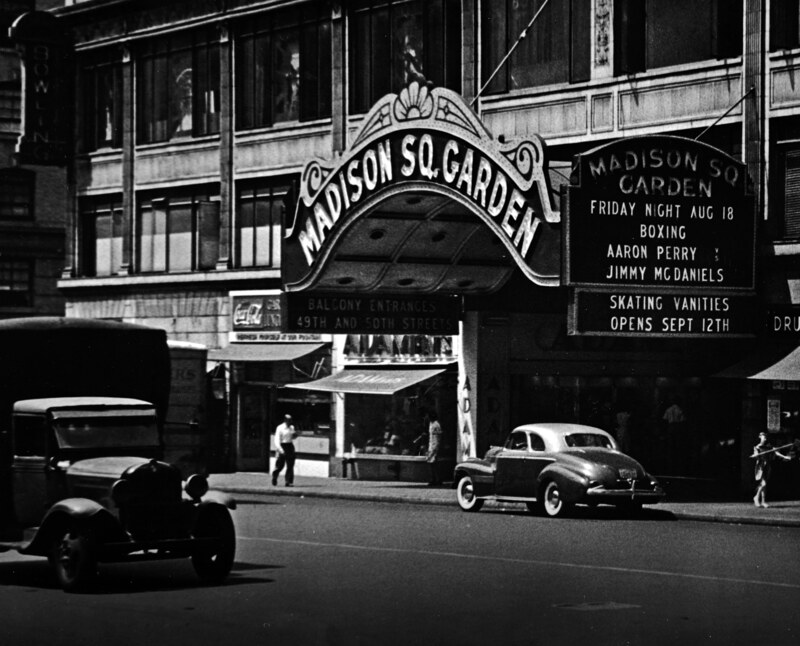 On this day, May 31st, 1879, Madison Square Garden opened in New York City at 4, Pennsylvania Plaza. Yes, that’s right, 1879. That’s the age of the venerable building indirectly named after the fourth President of the United States, James Madison, because the building was constructed inside Madison Square. The Garden officially seats 18, 200 people but has fit more and has been the location of many historical events. Here are some of the most remembered events that occurred in Madison Square Garden. 1. George Harrison and Ravi Shankar’s benefit concerts for Bangladesh-August 1, 1971. He had Bob Dylan, Eric Clapton, and Billy Preston there to help him out. 2. The Democratic National Conventions-1924, 1976, 1980, 1992. Politics in New York City? Boss Tweed would have never stood for it! 3. 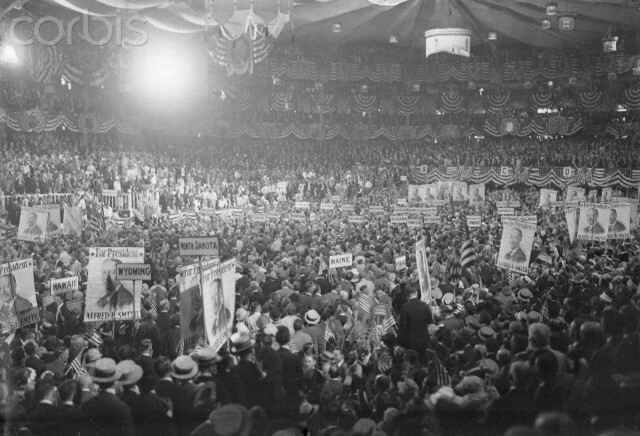 Former Republican Presidential Candidate, Wendell Willkie, leads 20,000 African-Americans in 1943, as the group organized a civil rights rally at the Garden, the largest of its kind for the time. He called for equal rights and for the defeat of Hitler. Despite the democratic message of today, republicans are champions of equal rights. 4. The Fight of the Century-Challenger Mohammed Ali and Heavyweight Champion Joe Frazier meet at the Garden for a boxing match on March 8, 1971. Frazier wins by unanimous decision. 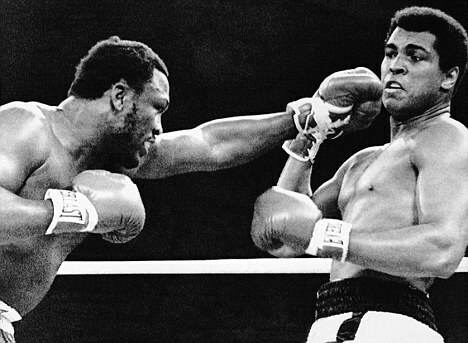 The second Ali-Frazier fight happens at the Garden three years later in 1974, when Ali wins by decision. The best fights of all time are between these two. Joe Louis fought at the Garden too but these two were warriors. 5. 1898-Nikola Tesla demonstrates the first remote control robot by using radio control hardware. Further proof Tesla was way ahead of everyone else. 8. 1973, Led Zeppelin performs three consecutive sold out performances that are recorded on both film and recording tape. A concert film is later released called, “The Song Remains The Same.” This Rock and Roll Hall of Fame band is one of the best-selling groups of all time. There are many more performances that span the entertainment, political and social worlds. 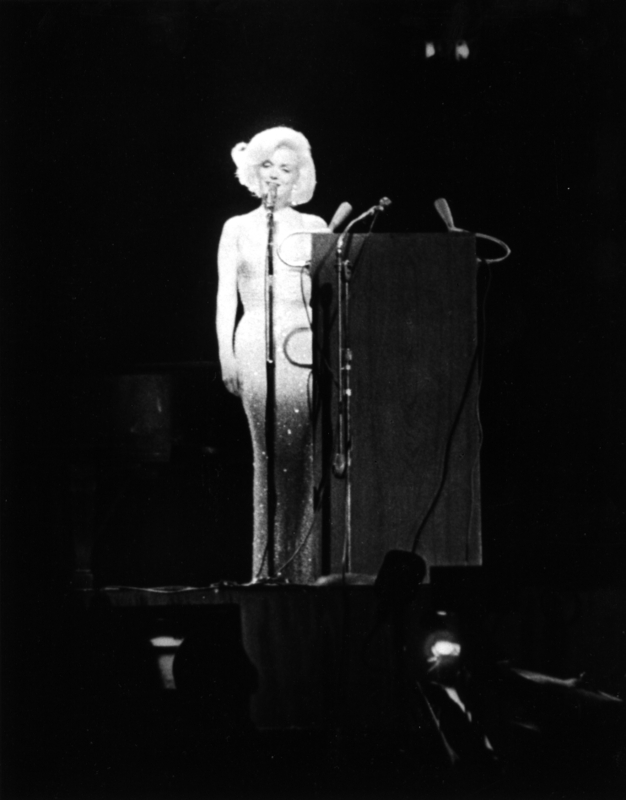 The list of entertainers who have performed at MSG is a hall of fame for musicians and singers. Ricky Nelson even wrote a song about it called “Garden Party”, which is a song about performing there with his fellow fifties greats. I just learned a few weeks ago that one of my distant relatives from my Mother’s family tree was killed during the Civil War, near the Gettysburg Battlefield in Pennsylvania. After I heard that, I started thinking about the Arlington National Cemetery and all of the other Veteran’s Cemeteries. They remind us that several have put on the uniform and put their lives in danger so that others can have a chance at the American dream. The headstones in the cemetery usually designate their religion of choice. For me, when I visit the cemeteries, I first notice two things. I note when they were born and when they died. Most of the time, the age is under 30 years old. I always think about the realization that when I am having a bad day, some people don’t have a day at all. When I think about it that way, driving home in a traffic jam doesn’t seem so bad at all. Memorial Day is when we stop to remember our veterans and especially the courageous souls that gave their lives to support America and, more importantly, to prevent their battle buddies from getting killed on their missions. We honor those who came back but we should especially remember military men and women who gave everything and never returned. 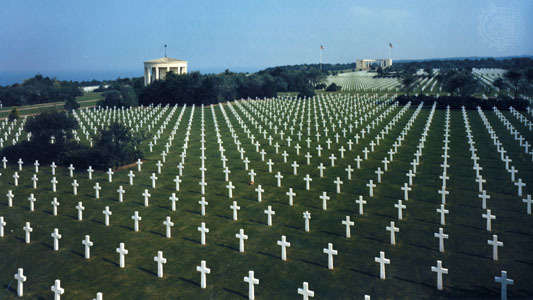 These people rest in several overseas cemeteries that honor our fallen. 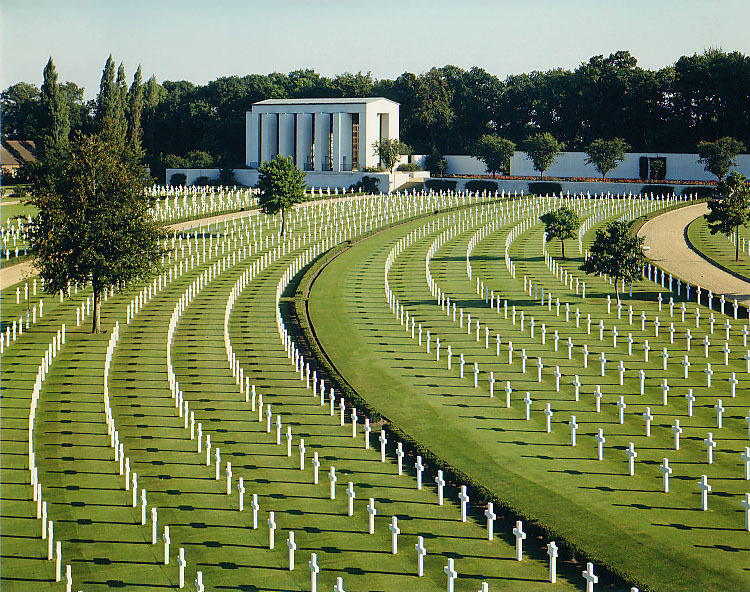 It is striking to see the number of service men and women buried in foreign lands, almost 125,000 souls resting in 25 burial cemeteries throughout world. Congress established the American Battle Monuments Commission in 1923. 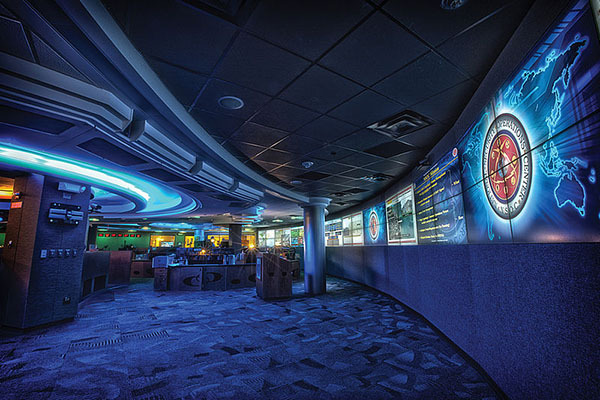 The Executive Branch organization honors the service, achievement and sacrifice of the US Armed Forces. The commission establishes and maintains US military memorials, cemeteries and markers where the US Armed Forces has served since April 6, 1917. Here is a list of the American Battle Monuments Commission cemeteries the organization maintains along with other pertinent information. I am a veteran and my wife is a veteran. My father is a Korean War veteran. Several of my family members are veterans. Several of my friends from all the services who served with me are no longer alive today. I miss them and I honor them every day. I honor and remember all of my Armed Forces brothers and sisters who gave their lives. On this Mother’s Day, let’s look back at the some of the best movie moms as they protect, defend, encourage and stand by their sons and daughters. As everyone knows, Don’t mess with Mom! 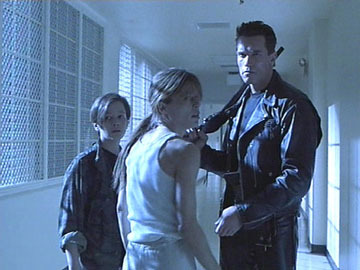 Sarah Connor reloads the assault weapon with one arm as she becomes a one-woman army. She fights Arnold’s terminator first and then a Robert Patrick’s T-1000 shape shifter who keeps on coming like a human Tsunami. All of this while she fights to keep her son safe so he can lead people into future battles with the machines. What does she get for her troubles? She gets locked up and fed drugs. But, not to worry, she’s been counting pull ups and sit ups and studying how to be the best survivalist ever. The time has come for her to get busy being a Mom when she breaks out. 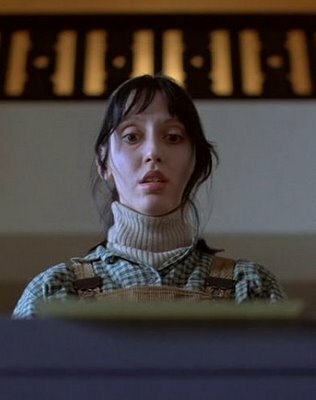 Wendy Torrance has to put up with tons of brooding and abuse from Jack Nicholson’s character in this movie. He drags her to a Ski Lodge in the mountains so he can get away to write his next masterpiece and he comes up with “All work and no play makes Jack a dull boy.” In addition, his son sees waves of blood coming from the elevator and repeats the word “REDRUM.’ (Spoiler, but if you haven’t seen it by now…!) She wins in the end because she has spent her days at the isolated getaway figuring out the maze outside the hotel. Moms are always prepared. 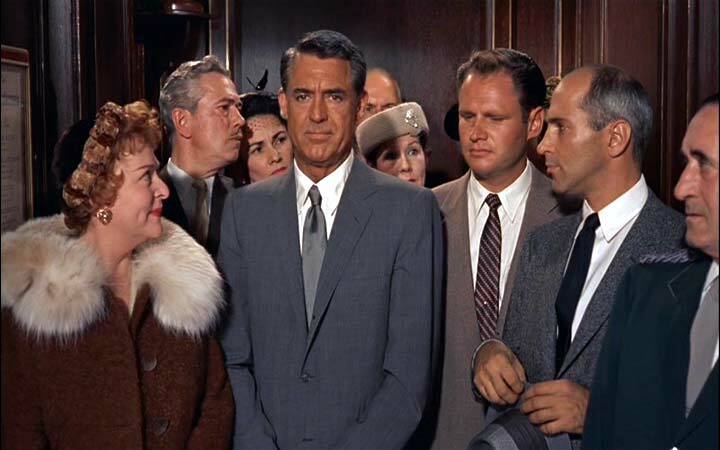 Clara Thornhill with her son in the elevator as the bad guys surround him. 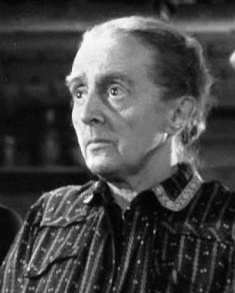 Clara Thornhill as Roger Thornhill’s mother in Alfred Hitchcock’s cross country thriller plays her part perfectly. She stands by her son although she thinks he is paranoid and a little over-worked. Roger Thornhill, of course, is not imagining anything but Clara’s past history with her son plays into her assessment of his well being at the estate once being released by the court system. The mother sets up the rest of the movie. Jessie Royce Landis was only eight years older than Cary Grant at the time but she succeeds in making us believe she is his mother. Perfect case of standing by your child even if you think he is off his rocker. Before Sergeant Alvin York becomes a war hero in World War I, he goes through a process of rehabilitation where he is born again and follows the word of God. He takes this seriously and becomes a conscientious objector because of the commandment “I shalt not kill.” While he was transforming and soul-searching, Mother York stood by him and gave him encouragement. After some long thought while on furlough, he decided it would be wise to go to war with his weapon and save lives by doing his best to end the war early. The decision would have been more difficult if Mother York had not let him decide for himself. Being a mother in 1183 had to be tough no matter your status in life. Not many comforts back then. For Queen Eleanor, she had to be a mother while being in imprisoned by King Henry II while he was running around with his mistress whom he wanted to marry. In the movie, although she is imprisoned she holds her own in the verbal sparring department. The dialogue between O’Toole and Hepburn is one of the best movie scenes in history. As a Mother, The Queen knows when to scold and when to support. One of the movie’s best scenes involves Hepburn and Anthony Hopkins’ portraying Prince Richard (The Lion-Hearted). She talks to him as a Mother and not as a Queen. 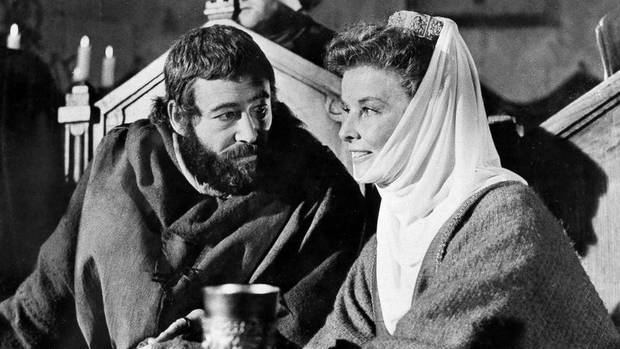 For Queen Eleanor of Aquitaine to Peter O’Toole’s King Henry II, she schemes to control the situation as an aging King Henry struggles to name a successor among his sons. Sandra Bullock won an Oscar for her performance in this film. Based on real events, this movie shows how a Mom with a purpose can change someone’s life. She’s a one woman wrecking crew and won’t stop until people understand. Along the way, she won’t put up with any racism or any other nonsense, even when it comes from gang members. She also knows how to coach and gives her adopted son a great piece of advice during football practice. Moms don’t have to be perfect. What great moms have in common is that they all defend their children. They also support and encourage when needed. 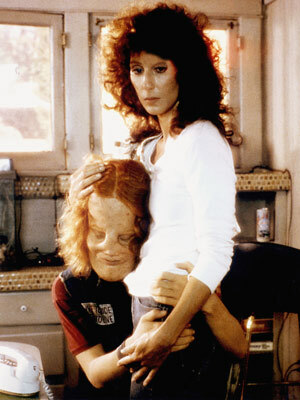 Cher’s performance as “Rusty” shows all her flaws but it also shows her supporting her son “Rocky”, who has a condition that deforms his skull. He looks different from everyone on the outside but is just the same as every other teen who has dreams. Judging someone from the inside and not how they look or by skin color is a lesson that still applies today and still has to be learned by others. 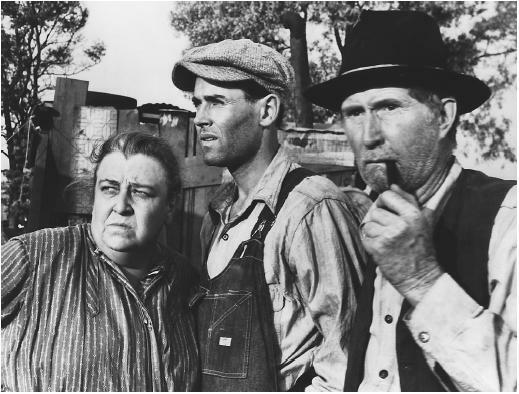 Darwell’s performance as Ma Joad holds the movie together. Sure, Henry Fonda gives a great soliloquy at the end of the movie but look who he’s giving it to—his mother. She endures the mid-west dust bowl conditions that takes their loses their livelihood. She packs up the family and their possessions and travels all the way to California for a chance at a better life. Bad luck continues but she continues holding the family together. Fantastic movie and a great performance.